Harry Kane has revealed how Alan Shearer’s advice helped him out of a “dry spell” as he aims to break the former Newcastle man’s Premier League calendar year scoring record. The Tottenham striker has scored 33 league goals in a stellar 2017 and needs four more in Spurs’ final three games of the year to break the record Shearer set while at Blackburn in 1995. His goalscoring exploits earned him a place among the nominees for this year’s BBC Sports Personality of the Year prize, with the winner to be decided by public vote at Sunday’s awards ceremony at the Echo Arena in Liverpool. Kane says Shearer, now a pundit for the BBC, was an “inspirational figure” growing up and someone who he has turned to for advice. “I’ve met Alan a few times and he’s always been very good with me,” he told Press Association Sport. “We’ve spoken about a striker’s mentality and finishing. The first time I met him I was going through a bit of a dry spell in terms of goals in the Premier League and he just told me to keep believing in myself and the chances and goals would come, and they did in the end and of course I went on to win the Golden Boot. In Kane’s sights now is Shearer’s calendar year record. 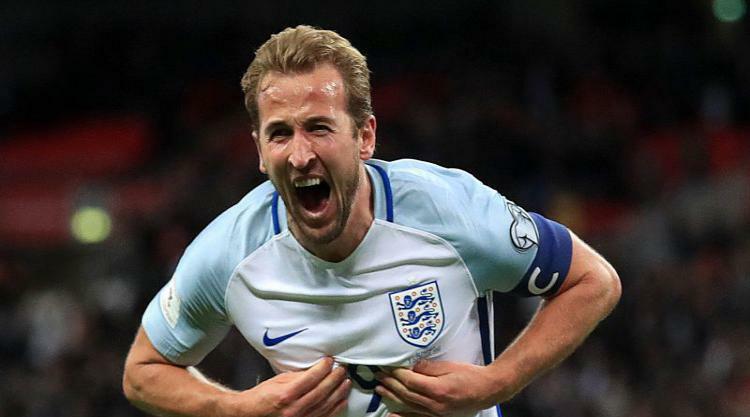 Kane hopes to have a double reason to celebrate, as he aims to become the first footballer to win the BBC’s flagship sporting award since Ryan Giggs in 2009. Heavyweight boxing champion Anthony Joshua is the odds-on favourite to win the 2017 award. The other nominees are Formula One world champion Lewis Hamilton, cricket World Cup winner Anya Shrubsole, Tour de France winner Chris Froome, 10,000 metres world champion Sir Mo Farah, overall short track speed-skating world champion Elise Christie, World Superbikes champion Jonathan Rea, Wimbledon semi-finalist Johanna Konta, T44 100m sprint champion Jonnie Peacock, double world breaststroke champion Adam Peaty and taekwondo world champion Bianca Walkden.